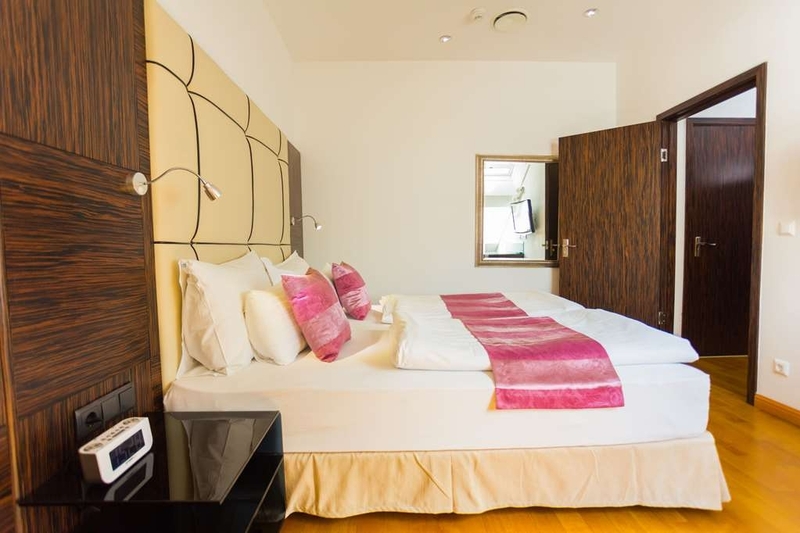 The Best Western Plus Hotel Arcadia is ideally located in the center of Vienne. Come and experience our hotel near the major tourist attractions. Best price guaranteed and exclusive deals. The Best Western Plus® Hotel Arcadia opened in 2013. 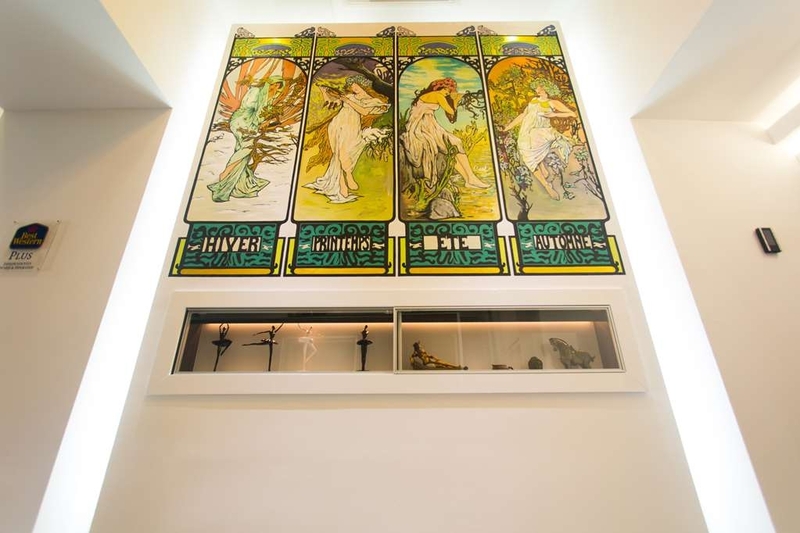 For this purpose, a beautiful old typical Viennese building from the 1900's was completely rebuilt, while preserving the art nouveau flavor. This results in a striking mix of the 19th and the 21st century. The Best Western Plus Hotel Arcadia offers you 72 rooms, all equipped with mini-bar, air conditioning, room safe, satellite-television, Wi-Fi as well as high-speed cable Internet, and much more. The interior is elegant and comfortable. Many of the changes which were accomplished during the building process have an ecological background. For example, the heating and cooling system is state-of-the-art, reducing our carbon footprint to a sustainable level. For those interested in seminars and conferences, we offer a fully-equipped conference room for up to 30 participants (projector, audio-system, wireless microphone). 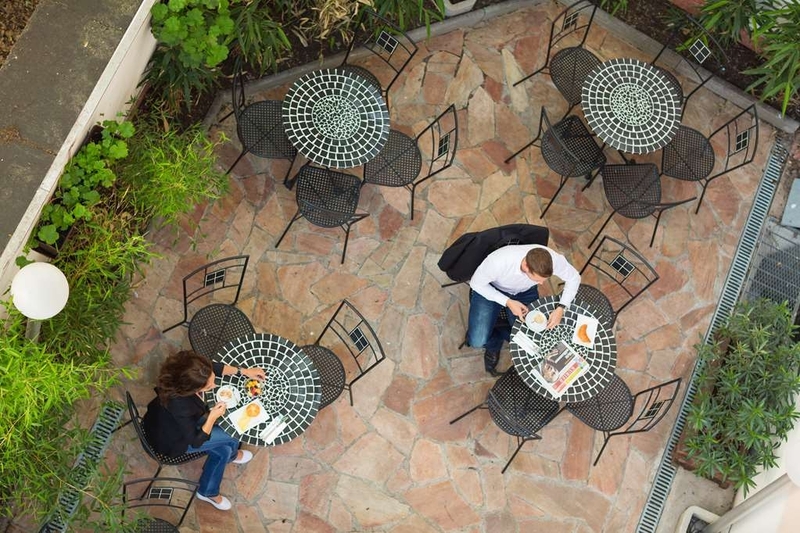 Feel free to enjoy a nice drink in our lounge or to relax in the courtyard. 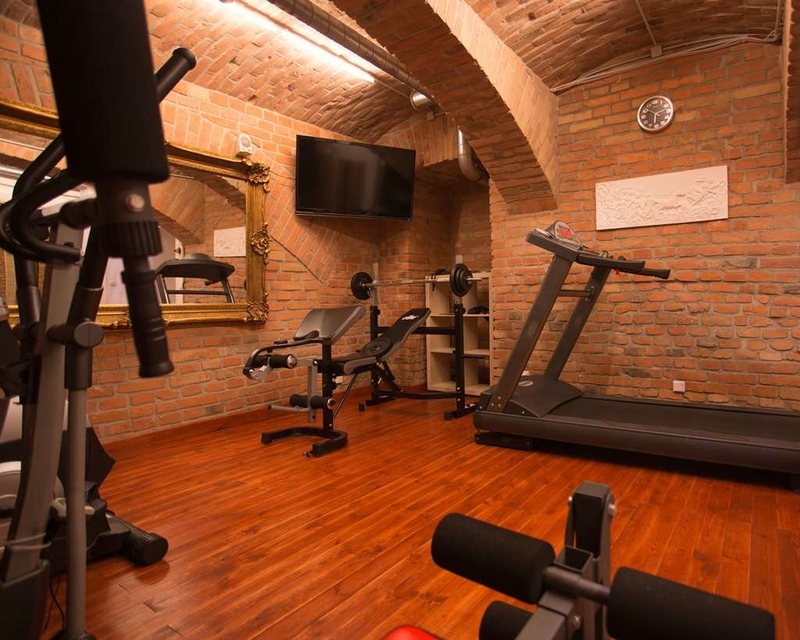 Located in the heart of the second district of Vienna, it is only a five minute walk to the Prater, a premium spot for jogging, cycling, or to take a walk in the woods. But mostly the Prater is famous for being a huge amusement park, suited for children and adults alike. Vienna´s largest exhibition center, the Reed Wien Messe, is a ten minute walk from the hotel. Also the historic center is easily reachable, either by underground train, car or other means of transportation. It is only a five minute walk to the Praterstern Station, a major transportation hub (with bus, underground train, tram, and train stops). We stayed in a nice room for 3. Not too big, but very clean and a very good breakfast and a nice staff. I also liked the area of the hotel, very close to the train and the Prater, but in a quiet street. Will come back again! "Quiet Location, Close to Train Station"
Me and my husband stayed at Best Western Plus Hotel Arcadia from March 22-24, 2019. It's situated in a quiet neighborhood and just a short walk from the Praterstern railway and U-Bahn stations. Reception staff was welcoming. The room is okay, though a bit old. Dining room has enough space to accommodate people, and there were ample food choices for breakfast. A few minutes walk from the hotel is the Prater amusement park with a big ferris wheel. Right by it is the stop of the Big Bus Hop On-Hop Off (and also the Vienna Sightseeing), which was ideal for us as we booked tickets for it. On the down side, there are cracks in the plaster of the shower floor. We also had problems with our key card. The guy in the reception came up and helped open our room with it, though. I don't know how he did it. Overall, it was a good stay. We chose the hotel for its location, and it delivered. Won't mind staying here again for a night or two if we're ever in Vienna. 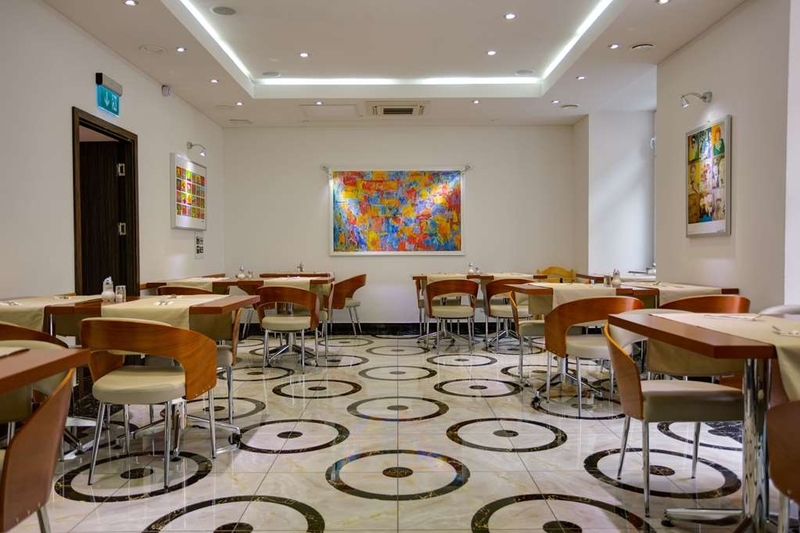 Conveniently located next to a nearby metro and within walking distance to Austrian Centre. Very friendly staff slightly marred by tired furnishings. Kettle and remote did not work but replaced swiftly by staff. TV choice was rather limited though. Included breakfast was always fresh and dining room staff was friendly and attentive. I thought this was a good hotel. It is not right in the city centre, but only a couple of stops on the metro or S-Bhan to the centre. It is about 5 minutes walk to the station and the trains run frequently. The hotel is located in a quiet square in a residential area. It is modern and the rooms are nicely decorated. The bedroom was good and I was particularly pleased to see that tea and coffee making facilities were provided. There was also a minibar and a good range of channels on the TV. The Wifi was free and worked well. The breakfast had a good choice and plenty of seats. The rooms have heating and air conditioning you can control to set to a pleasant temperature whatever the weather outside. All the staff I encountered were friendly and pleasant and spoke good English (I'm afraid my German skills are not very good). I thought the value for money was excellent. There are just a couple of minor criticisms. The first is that the room layout was odd. The "bathroom" in my room consisted of just the toilet, nothing else. The sink and shower were actually in the main room. This means you can hear the water running through the pipes from your bed when someone in a nearby room is running water. Additionally, it did not seem the most hygienic setup because you have to touch the door handle to get out of the toilet room before you are able to wash your hands. The "rain" head on the shower also did not seem to work. The other minor point was that the sound proofing from the corridor was poor. Having said that I wad fortunate to have quiet neighbours who did not come back late at night, so it did not cause me any disturbance. Overall I would certainly stay here again, as I thought the facilities provided were very good for the room rate. Hotel is generally quite good, breakfast is nice, but the rooms are very small and a little bit claustrophobic. But the greatest problem was that was so hot in there, even though I turned off the heating and opened the window the air inside was not really pleasant. I feel I had better choices in my life. Expect the people not only to be unhelpful but just plain rude. Had a late check-out planned And confirmed that we were there within the hour of and found as soon as we walked in the lobby door when we returned, the front desk was eager to tell us that all our stuff has been taken out of our room and in a bunch of garbage bags by the exit. I found that to be such a crazy rude gesture. I'm talking things like clothes, computer and expensive cameras were all tossed in bags and placed by the exit room. At least give us a phone call or email before considering such a strange gesture. It's not like we were a day late. The hotel could not possibly have been that full to need to do that based on just seeing how many people were there during breakfast and the fact that holidays are over. By the way, this was just the worst example of rudeness. There's a few others that in itself was bad enough but I'll leave it at that. Average experience in this hotel. The double room was a bit small and there was no heating during my stay. The room was poorly soundproofed. The staff was mostly friendly though so it helped with the experience. 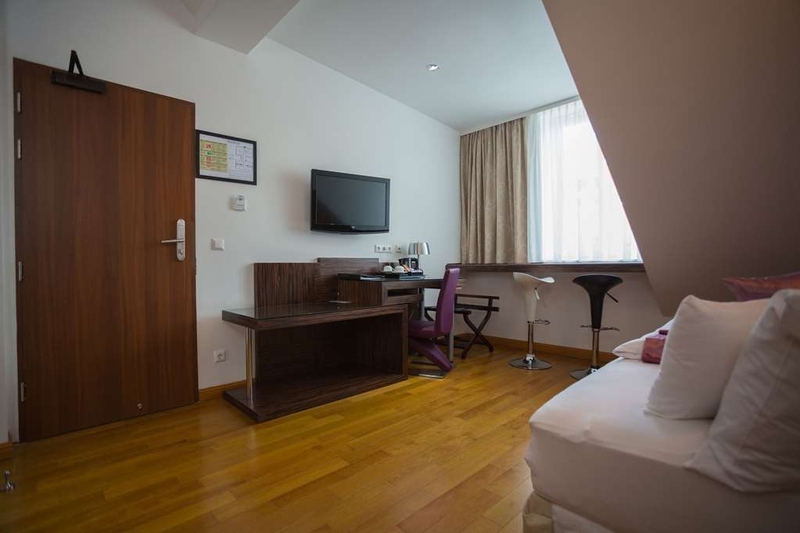 Some positive elements: the hotel is quite well located, not far from metro stations and the room was really clean. Bed was comfortable and the buffet for breakfast was good. In short, a bit overpriced for the experience. We checked out the hotel before booking, the hotel itself was spotless, our room was spacious, clean, room service every day. The breakfast itself was very good a wide range of food to suit everyone, you couldn't fault it. You could not fault this hotel, accept for its location. It wasn't in the best area very quite and quite dismal. I agree the metro station was only a 5 minute walk away. I went with my sister and the the walk back to the hotel from the metro is not pleasant in the dark, so when we went back to the hotel we never went back out. Very uneasy feeling. Stayed her for 3 nights with friends to see Vienna and visit the Christmas markets. Hotel is just outside the city but close to Praterstern Metro station where you can catch trains into centre (takes about 5 mins and costs just under 2E for single trip or 8E for 24 our ticket). Hotel is near the Winter Gardens and Madame Tussauds. The hotel is clean and well run in a lovely converted building. Breakfast was included and was very varied. Sparkling wine was available to enable Bucks Fizz to be drunk with your smoked salmon and eggs! Bedrooms were fairly spacious and the beds very comfortable. Bathrooms were a good size and the shower was good too! There are a couple of restaurants in the vicinity too. Would recommend staying here if you like to be away from city centres. "Not nice at all !" "Nice hotel at a quiet area"
Hotel is in a quiet residential area. Only 5-6 mins walk from the U1 line VorgartenStrabe station. Our room is nice decorated, clean and spacious. Breakfast is good and tasty. Friendly staff make you feel very welcoming. The staff at the hotel were really helpful! I had an issue with my room on the first night as there was a loud dripping sound coming from air conditioning unit. So, I was moved to another room. Annoyingly, there was another noise issue with this room as well. So, the first night I didn't sleep particularly well. But, the morning after, I was then moved a third time to another room which worked out to be perfect. Yes, it was annoying, as I didn't sleep particularly well the first night. And, had to move around a couple of times. But, the staff were really professional about it. They all spoke really good English as well which made the whole experience a lot easier. I would certainly reccomend staying here. The location is great (Praterstern station is a 5 minute walk) and the breakfast selection is good. Just a little bad luck with my first two rooms. "Ideal for a short visit to Vienna"
I visited the hotel for a short break in Vienna. I arrived late at night and the night receptionist made me very welcome. The room was comfortable and well appointed and there was an excellent choice at breakfast. 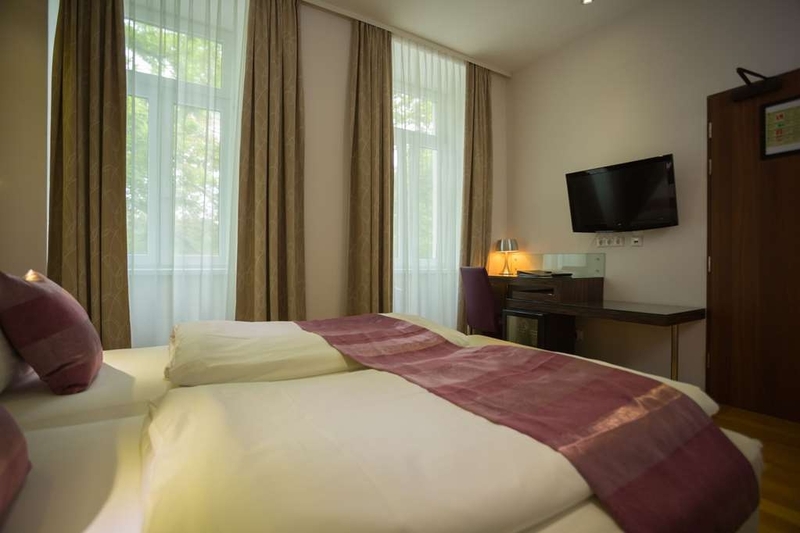 The hotel is located in a quiet residential area a short walk from the Prater Park and Ferris Wheel. It is three stops on the subway(10 minutes walk from the hotel) from the centre of the city. The subway/railway station at Praterstern also has frequent trains to the Airport at 4.10 Euros. 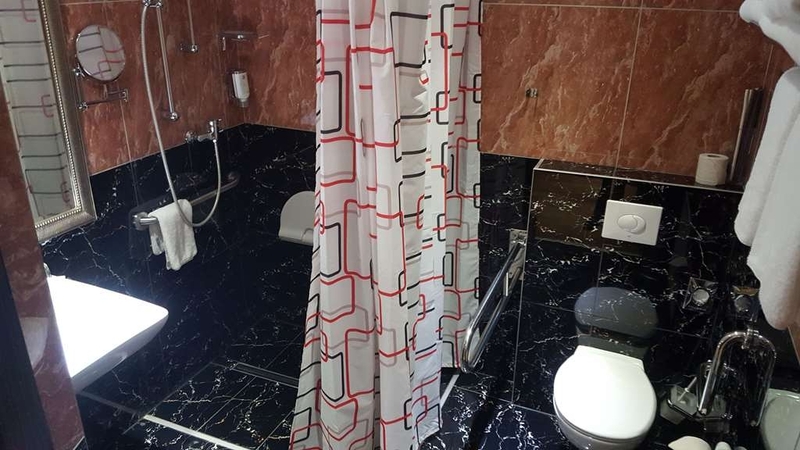 "Large and spacious room with excellent breakfast and helpful staff"
Well not handy to the many downtown sites, it is close to the Danube river and Pradder Park plus with the excellent transit system you are only minutes away from any site. Start you day off right with the substantial breakfast included and then take-off and enjoy your day sight seeing. Add a Hop-on Hop-off bus pass and see the city and feel free to explore. 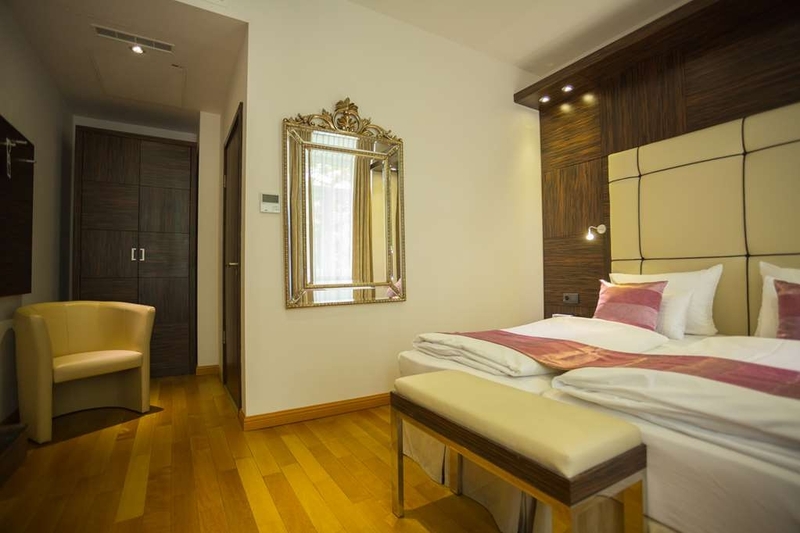 Our room here include a spacious washroom, kitchenette and twin beds. The construction on an adjoining property was only a minor inconvenience since most work was done while we were out site seeing. Why pay extra to stay downtown. I was hoping that after my disappointment of last year it would have resumed its previous performance. Unfortunately, this was not the case. However, this time, it was not so much the problems themselves as the attitude of the staff who basically had a “well, what do you expect me to do about it” attitude – rather than apologising and trying to sort things out. This is a great shame because on other factors – location close to the Prater and metro stations and a good buffet breakfast – made it an excellent choice. Room Allocation I had booked a room with a kitchen – for health reasons I need to be able to control what I eat. However, on arrival they had let my room to someone else and put me in a room with no kitchen – only a minute mini-bar ‘fridge and a kettle. I moved the next day after complaining. Cleaning The first day my new room was not cleaned until 6pm and the second day would not have been cleaned at all if I had not told the desk at 6pm that I was going out for 45 minutes and I expected in cleaned before I got back – it was! Air-conditioning This showed error messages from time to time and then refused to function until after they cleared which could be minutes to hours. The staff were not able to fix it but did lend me a stand fan – in case it decided not to restart. WiFi This was as low as “two bars” at times and even when at “five bars” it was often impossible to up or download the smallest file or send very small e-mails or even find sites like the BBC or Austrian Airlines. From time to time it was just the “no internet access” warning triangle. Loved the location of this hotel as it was right between 2 train stations. Only a 5 minute walk to one and maybe 7 to the other. Very convenient and on a quiet side street near a school. There were a few small cafes near by so finding a spot to eat was easy. The rooms was lovely and we overlooked the street, but it was very quiet at night. The breakfast was quite good and there was lots of choice. A small bar near reception was good to give us ice when we asked. Lovely modern bathroom as well. Would definitely stay here again. This hotel is walking distance from the train station and the hop on hop off buses. The hotel was very clean and modern. Receptionist was pleasant and knowledgeable about the area. Breakfast was very good and had lots of selections. DO NOT STAY HEAR!!!!!!! !.A building site was directly across from are room, the drilling and nail gun started before 7 am the noise was incredibly loud there was 0 possibility of sleep. Hotel staff knew about the building site and still put us a the closest room to the building work. They never notified us of the work and it did not mention it on the website or on booking.com when i complained to staff they laughed and said what do you wont us to do about it ?? ?very rude and obnoxious. Furthermore the owner of the hotel emaild us to apologise ad offered us 10% refund but instead removed 10% more money ontop of the normal room rate which has still not been returned to me so will be notifying my bank's fraud department shortly. DO NOT STAY HEAR!!!! "God for a short stay during a business trip"
This hotel is not expensive and the rooms are okay. It is clean and the staff is friendly. Unfortunately, the hotel has no own parking area in front of the hotel and you have to search a bit, if you arrive by car. The breakfast is okay. "Good for an inexpensive stay"
An inexpensive stay in Vienna. Other have said - "small" yes the rooms are, in order to use the desk for working I had to keep the cutains open. Still, a clean, well kept room all be it with an inexplicable heating system that made it too warm ( I slept with the Window open in March to maintain a sleeping temperature. Good breakfast, quiet neighborhood, close to the U bahn station. I'd recommend the airport train in and then underground although as others have said, City centre is around 10-15 min with Taxi. (City taxis are as cheap as an uber). Friendly front desk staff - and appreciated that the lobby "bar" didn't really close as I arrived late. Not a bad stay overall. 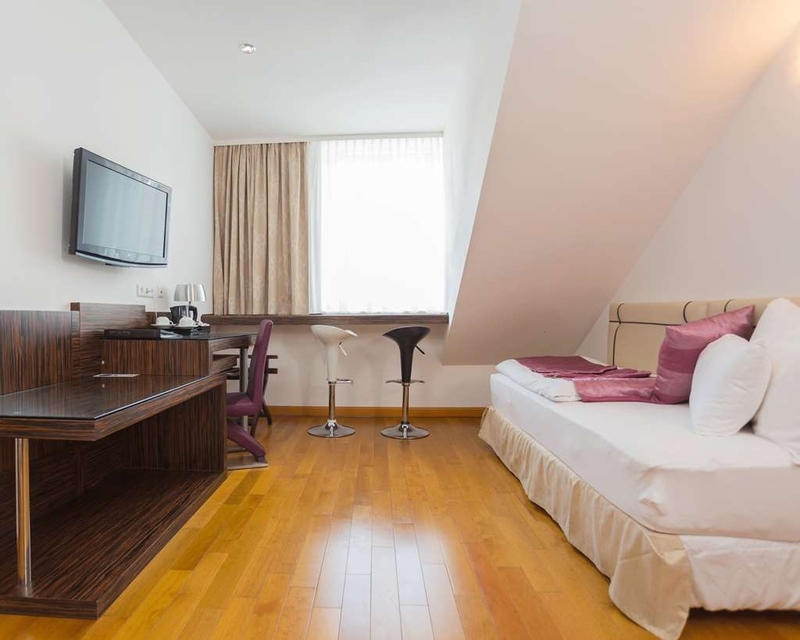 If you search for not so expensive accomodation in Vienna, than Best Western Plus Hotel Arcadia is the right place. 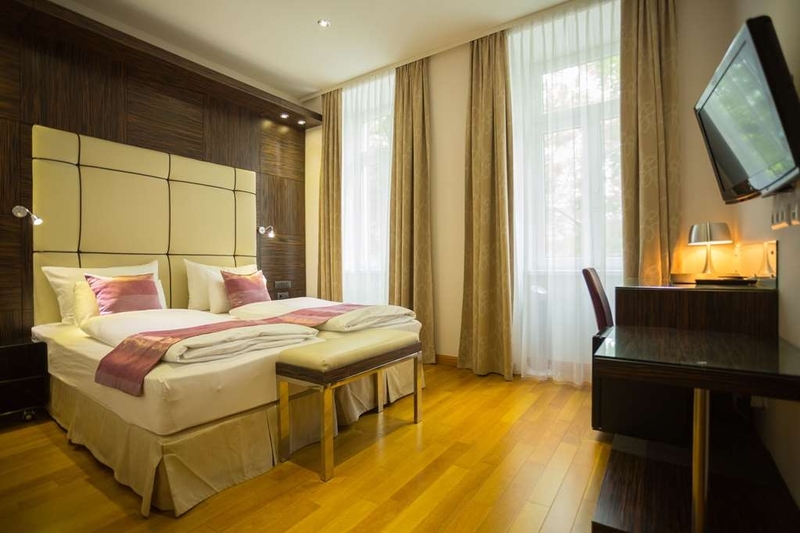 Small, but very clean and warm rooms, decent breakfast offers, quiet neighborhood, close to the U bahn station. City centre is around 20-25 min away with U bahn or 10-15 min with Taxi. (Uber will cost you around 8-10 EUR). The things I dislike were: too soft beds (mattress), noise from the hallway during the night and that there is no lobby in the Hotel with a decent bar. Ok stay overall. "Nasty, stupid front desk and managers"
Please people never go there! You will find the biggest gang of liers and incompetents from all over the world. They good in one aeria: take your money for free,nothing in return! Scums of the earth! Hope they go out of business! "Best Western is almost always a sure bet"
This is a terrific hotel, with a courteous and friendly staff, and a great breakfast. They arranged a taxi to airport for me with a discounted price. The only issue is that it is like an oasis island surrounded by sharks, as it is in a "red light" area, although it is perfectly safe to walk around at night. It is walking distance to the blue line Hop on bus at Prater Stern, but I needed to take a taxi from the Westbahnhof to get to hotel. 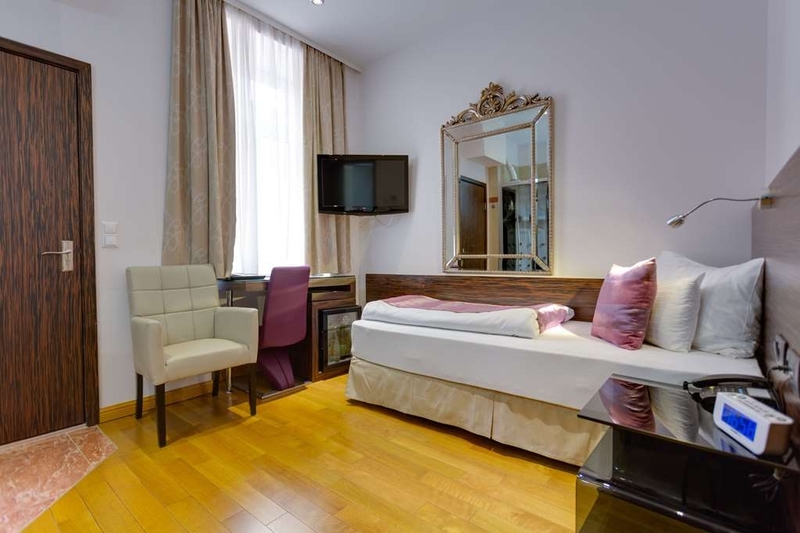 "Simple, clean and reasonably priced"
Excellent hotel in Vienna with good sized single rooms. The hotel was clean, staff were friendly and helpful. Very good value for money. Requested a later check out which was provided free of charge. Breakfast was also excellent. Only criticism was the noise. It got a little bit loud at times as the rooms were not excellently insulated. However beds were comfortable enough to sleep through any disturbances. Would stay again and would definitely recommend. "Fairly Priced, little away from main city." Fairly Priced, Humble Staff. Little away from city center - Say 7 km. Uber cost 6 to 10 EUR from city center. Big Bus stop close by. Dark Streets around. Cant Blame hotel, since Vienna is kinda sleeping after 6. Everything shuts down except few bars. "Good location to visit Vienna!" Very helpful and friendly personnel. Good location to visit Vienna, close to Prater. Very cheap and nice restaurant near hotel where you can eat typical dishes. They also have private parking places that you can hire. "Not Quite So Good This Time"
Whilst the hotel remains quite good, the air conditioning was not functioning that well in my room - the fan making a loud clanking noise for some time even after it was turned off! The Wi-Fi was not too good - dropping out and the quality of my Skype calls was poor. Also, when a toilet roll was used up it was not replaced. Minor things but they did detract from the stay. "Convenient location, but not so welcoming staff"
Starting with good things first: everything was clean and wifi was free and fast. The location is average - not really close to public transport, but you can get to Praterstern in 10 min. Parking is a real problem. Minirefrigerator in the room was not working, problem was reported to reception and not fixed in 5 days. You hear any noice from the corridor - it could be annoying. And - extremely overprized. 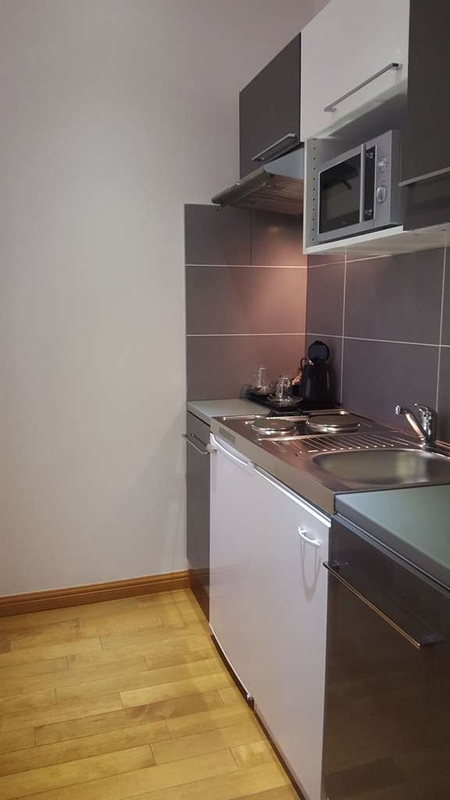 The Arcadia is in a quiet residential area that is 5 minutes from the Prater and 10 mins from a U station. It has been great for getting around Vienna. The hotel is clean and even though it is completely booked during our stay, we have not heard any corridor noise. Our room is a good size, the power shower is fantastic for blasting the days dust away. The bed is comfortable and there is ample wardrobe space with drawers. There are tea and coffee making facilities and a fridge, the price of contents in the fridge are a bit high, so recommend going to one of the local shops within a 5min walk and stocking up. Air con is easy to work and is a welcome blast after 30 degree heat. We are on the 5th floor at the rear, the room (504)is a little dark without lights on... but seeing as it is just a place to sleep/rest between sightseeing it's absolutely fine. Breakfast is ample and regularly topped up by pleasant staff. It is a classic continental with a variety of cooked eggs and some sausages; more than enough choice for all tastes. Lovely staff, good value, good location, easy access to Vienna sights and we will return. "The worst experience of my life"
"The staff make the difference..."
This is a simple, bright hotel with everything you need and nothing superfluous. Rooms are comfortable and well equipped. The breakfast bar is a straightforward continental-style (as you would expect!) venue with a good selection of pastries, cold meats, cereals, teas and coffees and the like. There's no restaurant and a very limited bar. Location is in a quite residential area about 400 yards from Prater amusement park, and the famous Big Wheel of Third Man fame. Taxis are easy to order from Reception, the longest we had to wait was less than 10 minutes. 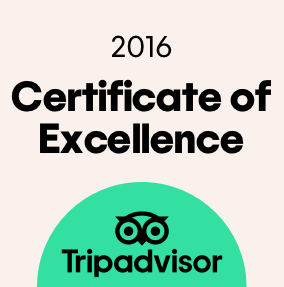 All well and good, but the Reception staff are excellent, being friendly and very knowledgeable about their city. In particular, Zorica was very helpful and patient when the friend I was travelling with was taken ill during our recent stay. If we visit Vienna again, we'll probably stay somewhere more central, but if you're a young family, this would be a perfect hotel for access to the city and Prater park for the children. We stayed here because it was near the start of the Vienna marathon - but it was also a good location for the main city - the U-bahn stop was only a 5 min walk - but you could easily walk to Praterstern and the fun fair area without getting on a tube. The room was comfortable - though hot. Air con worked. It was nice and quiet in our room. 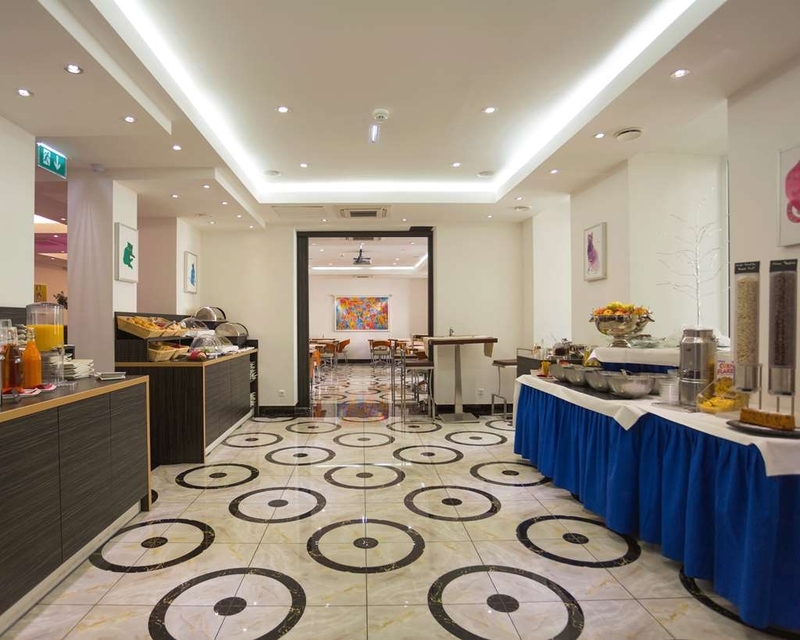 "comfortable hotel quiet area easy access to centre of vienna"
good facilities, great breakfasts, easy access to vienna centre. Near to Prater Park. My friend and I went for a long weekend and will be back. The room was comfortable clean and quiet. The staff were polite and most could speak english. Go out of the front door and turn left and there is a nice little cafe a couple of blocks down on the left also an open market on the right which sells fresh produce and has a few coffee shops if you dont feel like travelling much on your arrival day..
"Room claims to have Air Conditioning but it is switched off"
Rooms are too hot and staff don't know how to switch on Air Conditioning. Not good enough! I can NOT recommend staying here. Staff advise they would contact director and call me back, no calls. Only option is to leave windows open resulting in insects flying in. Nice breakfast with everything you can wish for, tidy room, good shower and bathroom in general. Over 200 TV channels and radios. 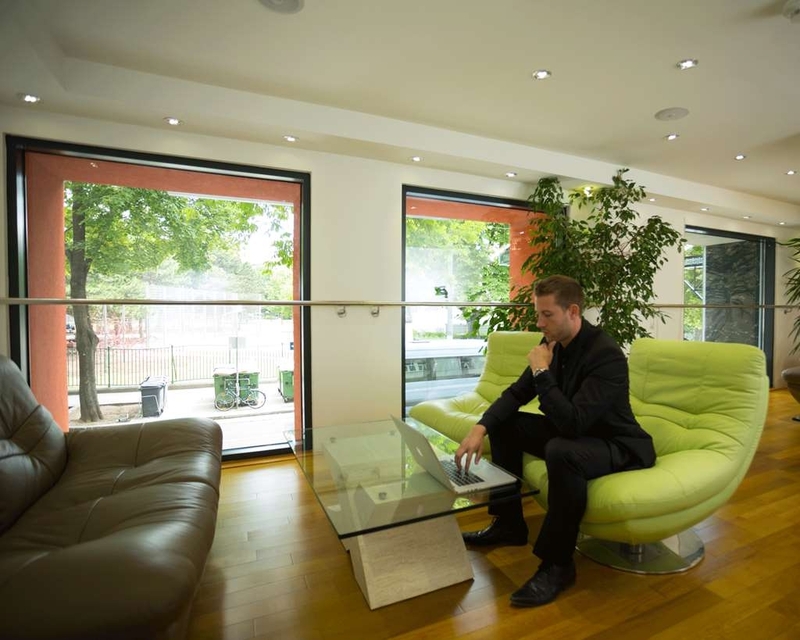 Helpful receptionist and location very good to town centre and Prater. "Lovely hotel - very comfortable beds! " Stayed at this hotel for a week. The room was a little small, but okay. The bed was one of the most comfortable I have ever slept in at a hotel! Before we arrived we had read that the area is not nice.. However we did not see too much bad stuff. The occasional begger and a red-light place or two. Just like many other cities around the world. There are playgrounds, schools and green areas in the area which makes it feel more spacious. It is a bit far away from the center of Vienna but in walking distance and very close to train and metro-station. The breakfast buffet was consistent with the same large selection every day and everything being delicious. The staff are polite and helpful. Rooms were cleaned every day but I was a bit chocked to have the housekeeping entering at 9 am one of the mornings - we were still in bed! So in conclusion I would recommend the hotel and maybe I will also visit again someday. Nice,friendly,close to metro hotel.Small rooms very nice buffet for breakfast. quiet neiborhood. very close to the centre by metro and close to the big park with the large wheel.no particular view from the room. "average, if not bellow average"
Location is not too bad if you need a place within walking distance from Vienna´s Messe. I cannot see another plus. Staff is friendly but lacks empathy. The Hotel mentions laundry, but you should know, they will ask cash payment in advance or no service at all. This is bellow modern standards. I ended up searching in the web for a local provider and walked blocks with my clothes, as the clerk simply said "sorry, I can´t help you". breakfast buffet also shows lack of management as tables tend to pile up dirty dishes, so you should try to go early. "My #1 worst by far"
This has got to be the worst hotels I've ever stayed in. My husband and I went to Vienna for our honeymoon. On a map it looks like it's by everything. You can get to most of the attractions by taking the train that was probably the only good thing. The shower was just ridiculously obnoxious to get in and out of. The bathroom door is just a piece of sliding glass which you will have no privacy at all. They kept the heat cranked up to 80° and the air-conditioning and heat you couldn't turn off or down. When we first checked in the soap dispenser was empty so we asked for our room to be cleaned up. All they do is make the bed and change towels. Didn't refill the soap so we had to go out and buy some. There was remodeling going on so every morning at 5 am we were working up to hammering. It's an ok neighborhood during the day but at night there are guys getting blow jobs in the park across the street. The staff was friendly and helpful but that's the only positive thing I have to say about staying there. 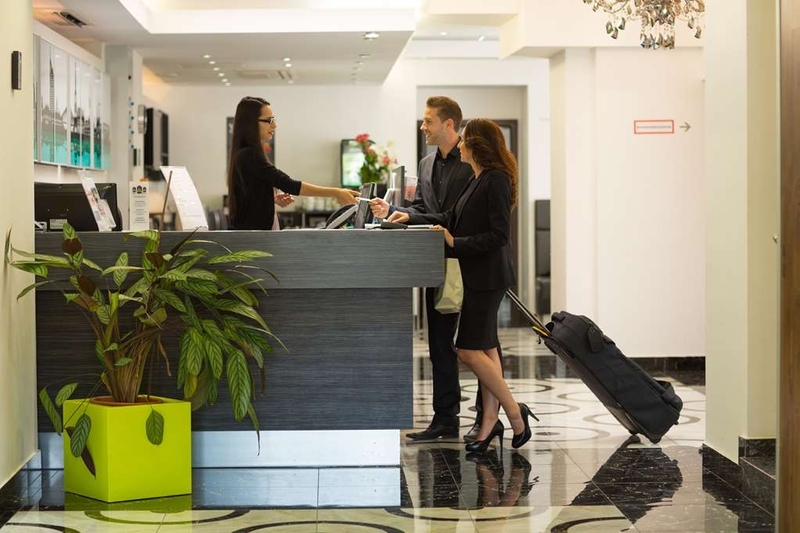 "Good value hotel in Vienna"
Very helpful and pleasant reception staff. Very accommodating. The rooms are really small tho. And there is no ice machine (the small one at reception is always empty). My booking was for a double room but I was put in a single. I only spotted this when I was checking out. 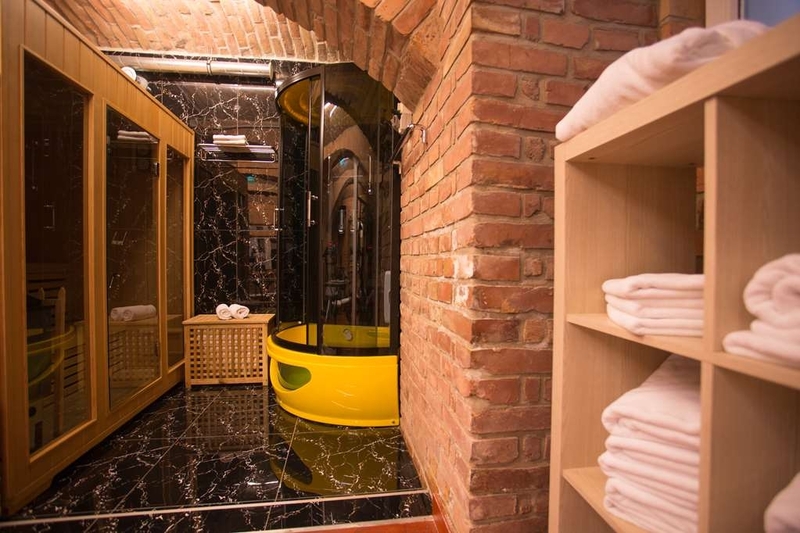 I arrived to this hotel with high expectations after reading comments from other tripadvisors specially because I want to use sauna and the fitness room during this winter time. Last night when I did the check in I asked the front desk lady the opening hours of the fitness ropm. 24/7 was her answer. The I double check this information at the hotell book in my room (see picture). This morning at 05:00 am I woke up and went to the front desk and Martina informed me without any polite manners that: " it is open from 0700am" and she cannot do anything to open it after I claim the information received. Ok, never will came again. Bad advise from T.A. This hotel its a shame for Best Western. 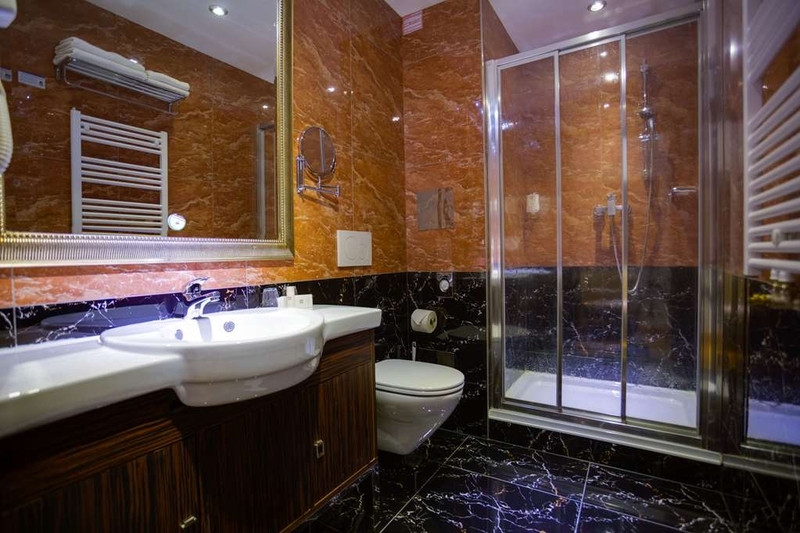 The rooms are big and also the bathroom. But the walls are dirty, the nightstand was broken and bonded with scotch. The door was broken. The receptions unpolite, they dont like Romanian tourists. The breakfast - very poor, they dont deserve the money, you better go and eat somewhere in the city. I will never go back. "Hotel not bad but NOISY ! ( renovation next door)"
We arrived very late, checked in and went to bed. In the morning 7.20am terrible noise woke us up. I went to the reception desk where was silent cuz they were on a ground floor, and reception said that noise is not in a hotel. she was surprised. Well.....i went next door and there was a renovation and workers told me that renovation was last few weeks, and noise is everyday. People who were renovating that bldg there from Poland so we spoke in the same language. Reception desk than knew the truth, but didnt want to admit! No refound. Result - i was tired and in a bad mood, headache, no sorry, no nothing. 80 euro - way to much for that kind of service. The hotel was excellent value. It was worth staying slightly out of the centre for the money we saved. We had an apartment on the upper floor, which was great size for a couple and a teenage son. It was very comfortable and quiet. Although the hotel was plain on the outside, it was stylish and characterful inside. Our son enjoyed using the gym, and we all appreciated the variety of food and coffee at breakfast.. It was easy to reach the centre by metro 5 minutes away. "Good hotel, in most respects"
Front desk: super friendly, very helpful, give directions to places, explain everything, overall very good Room: very comfortable, very good, safe in the room, modern equipment. Air conditioner was not working, though. Elevator works fine, very close to rooms. Bathroom: leaky shower, otherwise very good, outlet for shaving can be used to charge electronics with American plug. I got fungus on day 2, though, can't say for sure if from their bathtub or not, but in the future I will be wearing flip flops in all hotel bathtubs, better safe than sorry. 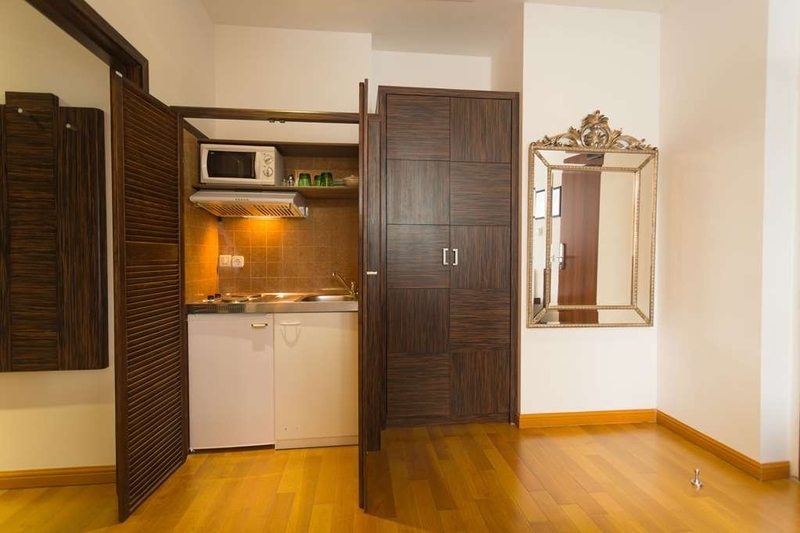 Location: 5 minutes walk to subway, then another 3 subway stops to city center. Super convenient. Max Winter park across the street is a nice place to relax, too. Yes, I would recommend this hotel to a best friend and would come here again, overall this hotel is very good. "Out-of-the-way Best Western a really good deal"
This BW Plus hotel is off the main Vienna street, but definitely is not lacking in modern features. With LED lighting in the room and motion activated LED lighting in the hallways, guests are treated right. Breakfast is complimentary with many different items for discerning tastes. Staff is very helpful and willing to offer suggestions to help guests enjoy their stay. Hotel is only a couple blocks from the U-bahn. We have enjoyed our stay. The location of the hotel is great. The room had 2 beds and small kitchen. The room was big and very clean. The breakfast was great. The internet was very fast. I really recommend this hotel. Good hotel with all necessary equipment. Good breakfast and not far from the city center and start of the marathon. Easy to find and proper rooms. Not expensive in an nice neighboarhood. Would recommend it! Liked the rooms, free Wi-Fi and breakfasts were good. I wouldn't be able to recommend as it's not in the nicest of areas. What was really ridiculous was that the air-con wasn't operational and would not be activated for another few weeks, the room was hot which meant the window had to stay open. What sort of hotel has no ice to put in drinks from the bar, we were told the machine hadn't worked for two years. Pathetic. This was a really nice hotel with great customer service. Great breakfast. Only about 1/2 mile to the subway which was nice. Close to the Prater Amusement Park. Rooms were very nice. I did get a single and it was REALLY small so I asked for an upgrade and they did move me to a larger room. Internet was good. I would stay here again. 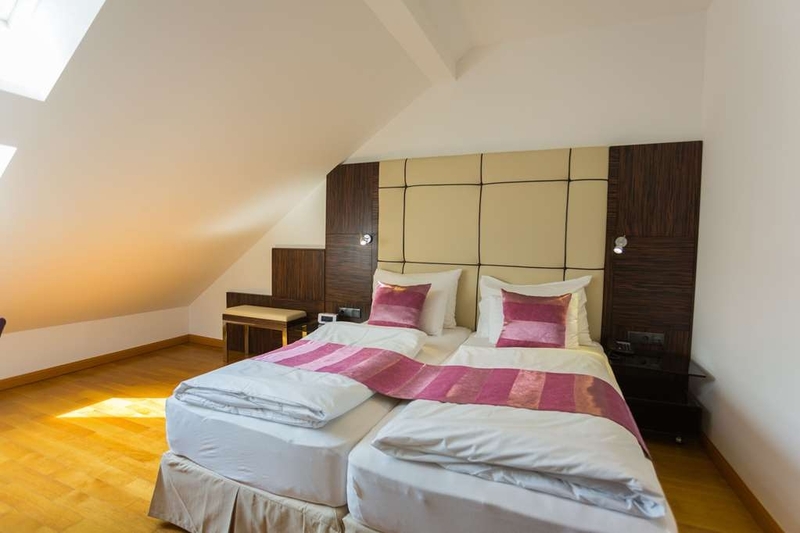 "A Good Hotel - Close to the Prater"
Location: close to the Prater and within a 5 to 8 minute walk of Praterstern Station. Anyone with half a brain cell will have checked its location on a map before booking so I just cannot fathom the people who complain about its location – reminded of Fawlty Towers when someone complained about the view – “What do you expect to see from a Torquay hotel bedroom – the Hanging Gardens of Babylon!!”. From my room I could see the top of the Reisenrad and other rides in the Prater. I'd recommend a high (I was on the 8th floor) front room. You can get to anywhere in Vienna very easily using public transport. Rooms: yes, they are a bit on the small side (even for a European hotel) but are very well appointed. The radiator can be turned down/off to regulate the heat – although I did find the room a bit stuffy and opened the windows for a while now and again. I also heard people outside in the corridor quite clearly (no “air lock” between corridor and bed). I do not think that there was anyone in the room next to me so cannot comment about the thinness of the walls. Electric sockets above desk and remain on when the room key card is removed from its socket. Very small mini-bar ‘fridge; difficult to get anything of any size in it which might be a problem in summer. Breakfast: limited choice of hot food; I have had better for a BW Plus hotel; but it was well presented and tasty – smoked salmon and scrambled eggs particularly pleasing! Staff: very friendly and helpful Airport Transfer: taxi (c€40) or if you are younger and fitter than me - with less luggage - take the S7 train for €4.40! Avoid the CAT – it costs nearly as much for two people as the taxi and you still end up miles from the hotel. Recommended Walk: turn left out of the hotel and walk to the River Danube; turn right and walk to the Hilton (the first concrete building here (originally a grain store) and have an excellent coffee (only €3.50). Come back on the metro or, if fit, walk back through the Prater. Prater: you must visit the Prater showground and go on the Reisenrad. There are lots of very scary thrill rides if you prefer. Tour: if you want to see parts of Vienna off of the main tourist track try this: Tram #0 from the Prater to Belvedere; Tram #18 Belvedere to Westbanhof; Tram#5 to Prater. Buy a 24, 48 or 72 hour card if you intend doing much travelling by public transport. 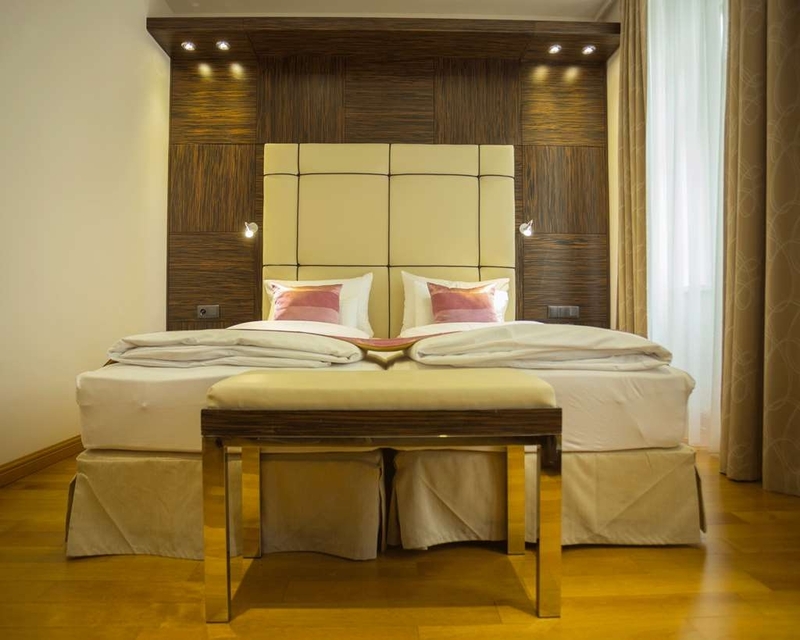 The hotel is situated close to Prater (5-8 minute walk) and near the metro station (you have 2 lines to choose from, depending on where you want to go). A big advantage is that it is also near the railway station. We took the train from the airport (Flughafen Wien - Praterstern Wien) and it only cost 4,40 euro / person (cheaper than the CAT and closer to the hotel). The hotel was nice, the room was ok. True that they have issues with the air conditioning, but we didn't need it. The receptionists were very nice and speak english well. The cleaning staff on the other hand don't speak english at all and we had some issues with them (they left the window of our room opened a hole day and it was freezing when we came back; also they nearly kicked os out of the room on our firs day because they wanted to clean). The breakfast was very good, you have plenty of thing to choose from (meat, cheese, salmon, vegetables, eggs, juice, lots of types of coffee, cake, cereal). We didn't have issues with the water or the noise, even though the hotel is situated near a school. The neighborhood isn't bad just a bit remote in term of restaurants. Also the hotel has a baggage room. "Not so good for BEST WESTERN"
I have stayed in many Best western hotel and this is my least favorite! Distance (on foot) from the city center 35min,distance(by subway): 10 min to the station (Praterstern )and 10 min to the centre. Not good neighborhood to stay because after nightfall you can see "strange" and maybe dangerous people around the subway and the Prater park. Close to the hotel there is a cute fun park with christmas market. We were 2 couples that booked 2 classic double rooms with breakfast.Our room 301 was so small !!! really small bathroom !!! and not at all comfortable for 2 people the other room 302 was much bigger and comfortable with large bathroom! Cleaning service was ok(room clean and ok) ...but unfortunately they lost my phone charger during cleaning and changing sheets...for 5 nights they changed once the sheets.Cleaning ladies polite but don't speak english. Not enough bath amentities (for that price ) only shower gel /shampoo and one body lotion.But the good thing was that they had (free of charge) coffee and tea in the room with a kettle(really convenient). Breakfast was good and quite big with fresch products but only one traditional austrian kuchen ..they could have and something else like apfelstrudel(just a suggestion),Coffee was good and variable. Reception stuff very helpful and spoke English fluently. not well sound-proofed. I have stayed in much better BEST WESTERN hotel . Thank you! 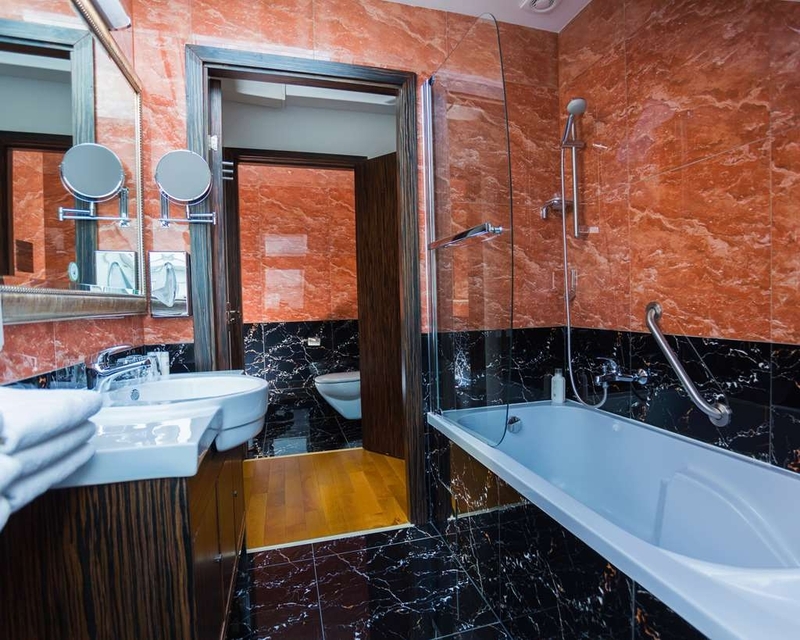 "Noisy and tepid showers "
I booked 3 rooms for 3 nights at the BW Acardia for myself and colleagues to attend a show at messe Wien. Although I booked doubles, the rooms were made up as two singles which is not a problem but I suppose a bit frustrating to be able to swap to a double - apparently there were no doubles in the whole hotel... The rooms were clean but there are two very important things to me when staying in a hotel, noise and temperature. The room was SO hot and aircon didn't function, and the walls were paper thin. So any closed door in the corridor reverberated through and into the room. The showers weren't hot any of the mornings - which is really poor frankly. Considering this cost almost €750 I have been really disappointed and let down. There are others hotels closer to the messe, that were cheaper and I'm sure could provide a hot shower. Embarrassing to book this for colleagues. A shame because generally best western chains are excellent. "Good Service, Far From City Center"
My husband had to come to Vienna for work and booked this hotel because it was close to the company office; however, it was a bit of a hike from the nearest Metro station (Praterstern on the U1) in a residential neighborhood (There are apartment buildings all around and a school right across the street). Having to navigate from the airport via public transportation took awhile and two different rail lines. That being said, the staff at the hotel are very nice and accommodating and the rooms are decent. I arrived with my infant son several hours before normal check-in time and they switched my room so I could get settled right away. The rooms are a bit small (normal by European standards) and look as though they've been recently remodeled. We had two twin beds pushed together and while my husband's bed was nice and firm, mine had a big dip in the middle that made for slightly less comfortable night's sleep. On the plus-side, the breakfast had a nice selection. Overall, our stay was very pleasant, it was just further out from the city center than I had hoped--especially with a baby! "Great deal perfect stay! " Have spent 3nights here and am very satisfied with all importants aspects such as price/quality, interior, cleanliness and location! Will totally recommend this hotel for leisure as well as business travellers! "Friendly hotel close to Prater Park"
Quite a small hotel with very friendly staff. Our room was rather small with not much space for suitcases.It had a good working space and lots of sockets. Has wi-fi and hi-speed internet in all rooms. Had two chairs but the work chair was rather low for the height of the work surface. Had a good simple to use safe. The floor was wood strip, much cleaner than carpets. 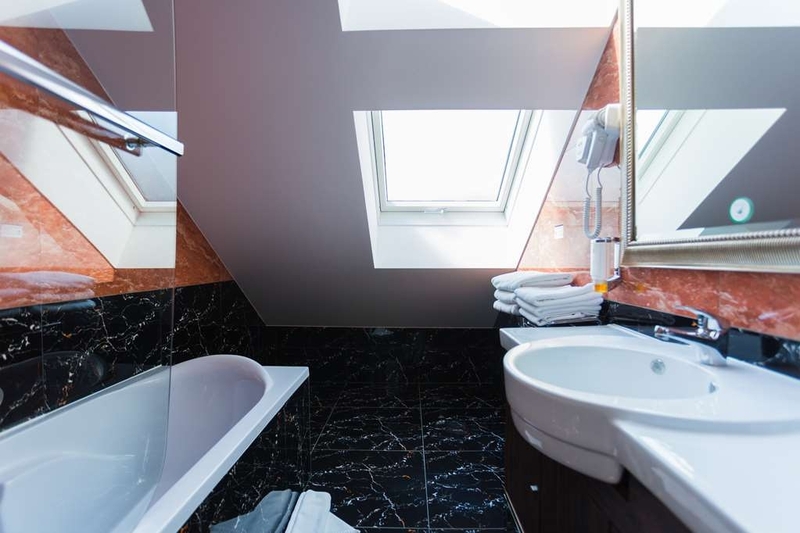 The bathroom had a large walk-in shower and adequate shelf space. The mini-bar prices were very high compared to the local supermarket. In summary we would stay there again if visiting Vienna. "Very nice hotel at reasonable rate"
When we checked into the motel the desk clerk, Coen was very nice. Good bike parking in luggage room right off the front lobby. A/c was not working in the rm so we were upgraded to an apt rm which had extra amenities. There was gd Wifi. Brkfst included scrambled eggs, sausage, salmon and the usual variety of meat, cheese and bread. "Average hotel for short business stays"
My room was tiny and not well maintained (leaky shower head, slow drains, etc). There seems to be a problem with all door locks, as people are constantly slamming their doors. Breakfast is just average. The location is fine, within short walking distance to the U1 Praterstern metro station. Nice hotel, with clean rooms, although quite small. We had an apartment, on the top floor, the rooms were small with split ceiling, cutting off some of the space. Personally I disliked the sheets - they were clean, but not 100% cotton as one normally sees in the hotels, which was surprising to me. Otherwise, the service was good. The breakfast was good, classic 4* hotel. The hotel is about 5 minutes walk from Prater and has two playgrounds nearby (one in front of the hotel). If you travel with small kids, they can play around. The hotel is 5 minutes walk from U2 and U1 metro station. Easy to go to any part of the city. Nice and cosy rooms (recommended higher floors or rooms facing the street, lower ones have a bit dark rooms as they face another high buildings). Very tasteful and rich breakfast, no problems at the reception. 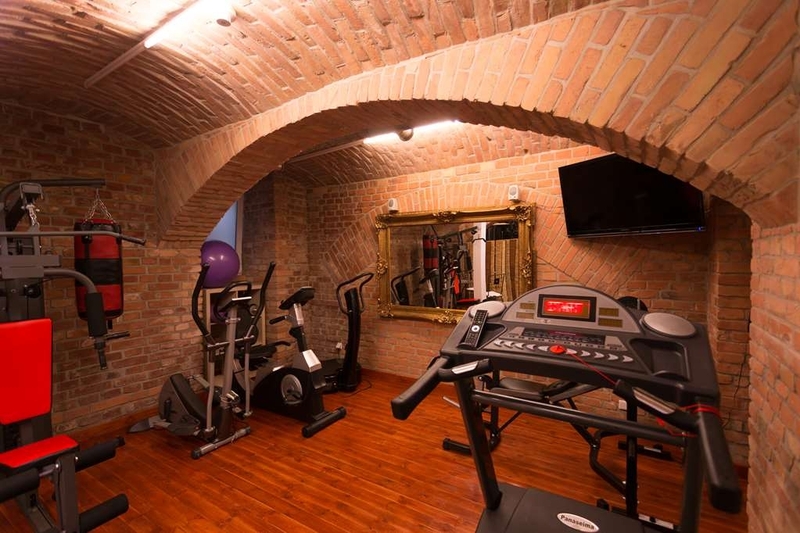 Small gym and sauna available for the guests.